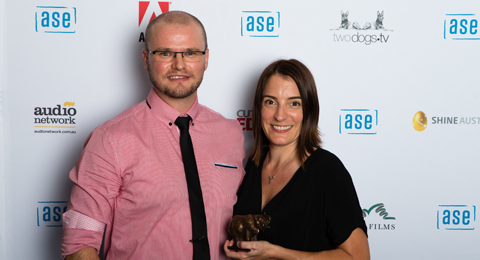 Melanie’s work on Cronulla Riots – The Day that Shocked the Nation has won Best Editing in a Documentary Program at the 2014 ASE Awards. These awards are affectionately known as “Ellies” due to the unique pure bronze award statuette. Melanie was presented the award by Jon Barrie from Adobe. This is Melanie’s sixth nomination and second win at the Australian Screen Editors Awards.